Signed as a free agent on May 16, 2017. Williams was signed as an undrafted free agent by the National Football League’s New York Jets on Aug. 3, 2016. He was released on Aug. 28, 2016. He also attended rookie mini-camp with the New York Giants in 2016. 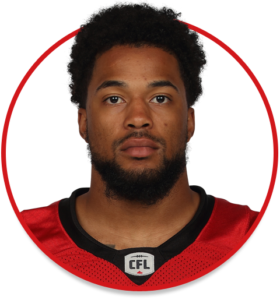 (Calgary) Williams played 12 regular-season contests and was first on the team and fifth in the CFL with 1,336 total return yards. That figure included 710 punt-return yards, 550 kickoff-return yards and 76 missed-field-goal-return yards. 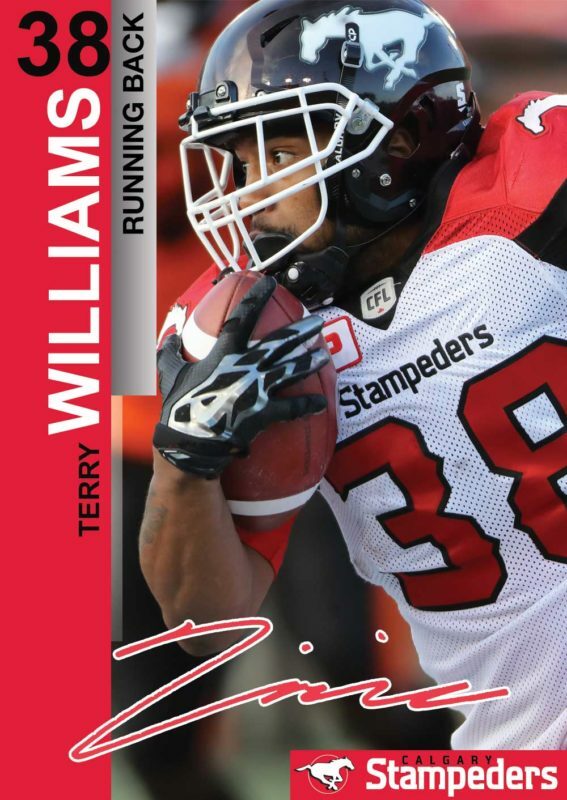 Williams tied a franchise single-season record with three punt-return touchdowns including a 102-yarder in Toronto in Week 2 that was the third-longest in Stampeders history. On offence, he had 46 carries for 242 yards and one touchdown as well as two receptions for 15 yards. Williams played in the Grey Cup and his 97-yard punt-return touchdown was a pivotal play in Calgary’s win over Ottawa. In the championship game, he had five punt returns for 112 yards and two kickoff returns for 46 yards. (Calgary) Williams played five games (one start) and had 21 carries for 187 yards and one touchdown and 15 kickoff returns for 312 yards. He also had five catches for 88 yards and one punt block. Williams was named the CFL’s player of the week for Week 15 after rushing for 156 yards and three touchdowns against the Montreal Alouettes in his first career start. Williams was a two-time second-team all-Pennsylvania State Athletic Conference all-star in both of his seasons (2014 and 2015) at Kutztown. In 2015, he rushed for 817 yards and 13 touchdowns while adding five catches for 68 yards and a major. His 98-yard run in an Oct. 24 game against East Stroudsburg set a school record for longest rushing touchdown. In 2014, he rushed for 725 yards and nine touchdowns. Prior to attending Kutztown, Williams played two seasons at Phoenix College, a junior college in Arizona. Williams is an alumnus of Cosby High School in Midlothian, Va.